You acknowledge that the information on the Website is provided ‘as is’ for general information only. It is not intended to provide advice of any type including medical or health related advice, and should not be relied upon as a substitute for consultations with qualified health professionals who are familiar with your individual medical needs. The owners of this information do not recommend the self-management of health problems. 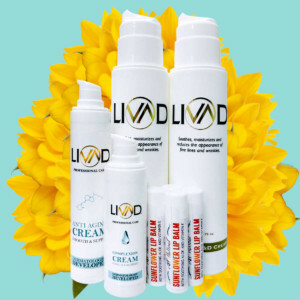 Information obtained from this Web site is not exhaustive and does not cover all diseases, ailments, physical conditions or their treatment. Should you have any health care related questions, please call or see your physician or other health care provider promptly. You should never disregard medical advice or delay in seeking it because of something you have read here. You agree that you will hold harmless Livad and its shareholders, officers, directors, and employees from all claims arising out of or related to your access or use of, or your inability to access or use, this Website or the information contained in this Website or other websites to which it is linked, including but not limited to claims that you have found something you have heard, viewed or downloaded from this Website or any other website to which it is linked to be obscene, offensive, defamatory, or infringing upon your intellectual property rights. In no event will Livad or any of the information contributors to the Website be liable to you or anyone else for any decision made or action taken by you in reliance on such information or for any consequential, special or similar damages, even if Livad has been advised of the possibility of such damages. You acknowledge that the opinions and recommendations contained in this Website are not necessarily those of Livad. 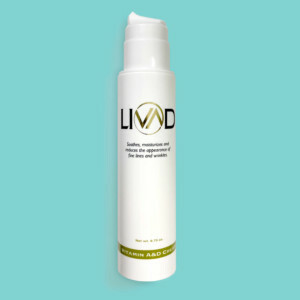 Livad may provide links on the Website to other websites which are not under the control of Livad. 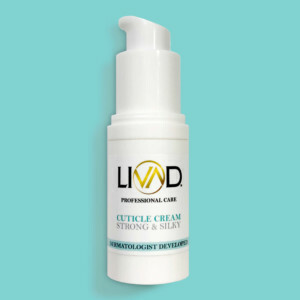 In general, any website which has an address (or URL) not containing ‘https://livadskincare.com’ is such a website. 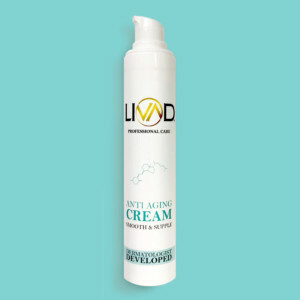 These links are provided for convenience or reference only and are not intended as an endorsement by Livad of the organization or individual operating the website or a warranty of any type regarding the website or the information on the website. 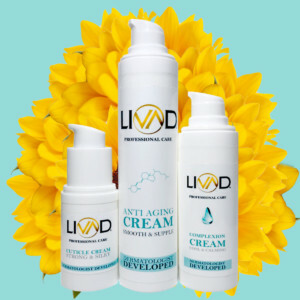 This Website (excluding linked sites) is controlled by Livad which is headquartered in the State of New York, in the United States of America. It may be accessed from all 50 states, as well as from other countries around the world. Because each of these places has laws that may differ from those of New York, by accessing this Website you agree that the statutes and laws of the State of New York, without regard to conflicts of law principles thereof, will apply to all matters arising from or relating to the use of this Website. You also agree and hereby submit to the exclusive legal jurisdiction and venues of the Courts of New York County, New York and the United States District Court for the Southern District of New York with respect to such matters. 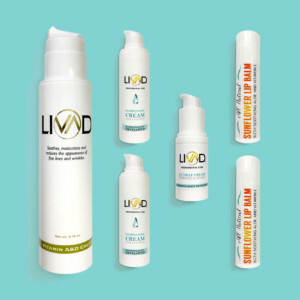 Livad makes no representation that materials on the Website are appropriate or available for use in other locations, and accessing them from territories where their contents are illegal is hereby prohibited. Individuals or organizations choosing to access this Website from other locations do so of their own initiative and are responsible for compliance with local laws. 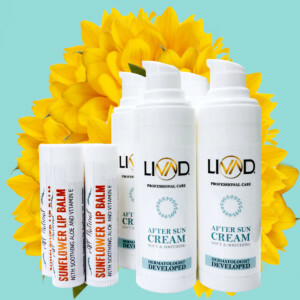 All text and electronic images on this Website are copyrighted materials which are either registered copyrights, unregistered common law copyrights, registered trademarks or sales marks of Livad, its suppliers or contributors. Any attempt to infringe upon or to circumvent these copyrights or trademarks will subject the infringing individual or organization to severe criminal and civil penalties as prescribed by law. Unless otherwise specified, the Company Web Sites are for your personal and noncommercial use. You may not modify, copy, distribute, transmit, display, perform, reproduce, publish, license, create derivative works from, transfer, or sell any information, software, products or services obtained from the Company Web Sites. 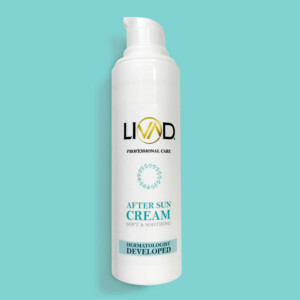 As a condition of your use of the Website, you warrant to Livad that you will not use the Website for any purpose that is unlawful or prohibited by these terms, conditions and notices. You may not use the Website in any manner which could damage, disable, overburden, or impair the Website or interfere with any other party’s use and enjoyment of the Website. You may not obtain or attempt to obtain any materials or information through any means not intentionally made available or provided through the Website. The Company has no obligation to monitor the Communication Services; however, the Company reserves the right to review materials posted to a Communication Service and to remove any materials in its sole discretion. The Company reserves the right to terminate your access to any or all of the Communication Services at any time without notice for any reason whatsoever. Always use caution when giving out any personally identifying information about yourself or your children in any Communication Service. The Company does not control or endorse the content, messages or information found in any Communication Service and, therefore, the Company specifically disclaims any liability with regard to the Communication Services and any action resulting from your participation in any Communication Service. Managers and hosts are not authorized Company spokespersons, and their views do not necessarily reflect those of the Company. The Company does not claim ownership of the materials you provide to the Company (including feedback and suggestions) or post, upload, input or submit to any Company Web Site or its associated services (collectively, Submissions). However, by posting, uploading, inputting, providing or submitting your Submission you are granting the Company, its affiliated companies and necessary sublicenses permission to use your Submission in connection with the operation of their Internet businesses including, without limitation, the rights to: copy, distribute, transmit, publicly display, publicly perform, reproduce, edit, translate and reformat your submission; and to publish your name in connection with your Submission. THE INFORMATION, SOFTWARE, PRODUCTS AND SERVICES INCLUDED IN OR AVAILABLE THROUGH THE COMPNY WEB SITES MAY INCLUDE INACCURACIES OR TYPOGRAPHICAL ERRORS. CHANGES ARE PERIODICALLY ADDED TO THE INFORMATION HEREIN. 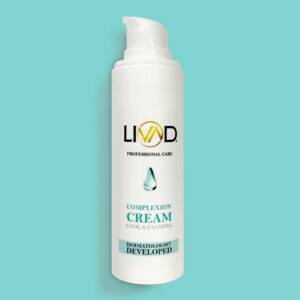 THE COMPANY AND/OR ITS RESPECTIVE SUPPLIERS MAY MAKE IMPROVEMENTS AND/OR CHANGES IN THE COMPANY WEB SITES AT ANY TIME. ADVICE RECEIVED BIA THE COMPANY WEBSITES SHOULD NOT BE RELIED UPON FOR PERSONAL, MEDICAL, LEGAL OR FINANCIAL DECISIONS AND YOU SHOULD CONSULT AN APPROPRIATE PROFESSIONAL FOR SPECIFIC ADVICE TAILORED TO YOUR SITUTATION. THE COMPANY AND/OR ITS RESPECTIVE SUPPLIERS MAKE NO REPRESENTATIONS ABOUT THE SUITABILITY, RELIABILITY, AVIALABILITY, TIMELINESS AND ACCURACY OF THE INFORMATION, SOFTWARE, PRODUCTS, SERVICES AND RELATED GRAPHICS CONTAINED ON THE COMPANY WEB SITES FOR ANY PURPOSE. ALL SUCH INFORMATION, SOFTWARE, PRODUCTS, SERVICES AND RELATED GRAPHICS ARE PROVIDED “AS IS” WITHOUT WARRANTY OF ANY KIND. THE COMPANY AND/OR ITS RESPECTIVE SUPPIERS HEREBY DISCLAIM ALL WARRANTIES AND CONDITIONS WITH REGARD TO THIS INFORMATION, SOFTWARE, PRODUCTS, SERVICES AND RELATED GRAPHICS, INCLUDING ALL IMPLIED WARRANTIES AND CONDITIONS OF MERCHANTABILITY, FITNESS FOR A PARTICULAR PURPOSE, TITLE AND NONINFRINGEMENT. Some contents and/or services on the Company Web Sites may be offered to you conditioned on our purchase of a subscription. If you elect to purchase subscription based content or services and transmit to the Company a subscription purchase request, you warrant that all information that you submit is true and accurate (including without limitation your credit card number and expiration date), and you agree to pay all subscription fees you incur plus all applicable taxes. You may cancel your subscription to any fee based content and/or services by submitting a request on our CONTACT page. No cancellation of access to free content and/or services or to non-renewing subscription is required. Your subscription is personal to you and the members of your household, and you may not transfer or make available your account name and password to others, including, without limitation, your coworkers. Any distribution by you of your account name and password may result in cancellation of your subscription without refund and in additional charges based on unauthorized use. The Company reserves the right, in its sole discretion, to terminate your access to any or all Company Web Sites and the related services or any portion thereof at any time, without notice. If any part of this Agreement is determined to be invalid or unenforceable pursuant to applicable law including, but not limited to, the warranty disclaimers and liability limitations set forth above, then the invalid or unenforceable provision that most closely matches the intent of the original provision and the remainder of the Agreement shall continue in effect. Unless otherwise specified herein, this Agreement constitutes the entire agreement between the user and the Company with respect to the Company Web Sites, and it supersedes all prior or contemporaneous communications and proposals, whether electronic, oral or written, between the user and the Company with respect to the Company Web Sites. A printed version of this Agreement and of any notice given in electronic form shall be admissible in judicial or administrative proceedings based upon or relating to this Agreement to the same extend and subject to the same conditions as other business documents and records originally generated and maintained in printed form. The Company reserves the right to change the terms, conditions, and notices under which the Company Web Sites are offered, including but not limited to the charges associated with the use of the Company Web Sites. You are responsible for regularly reviewing these terms and conditions. 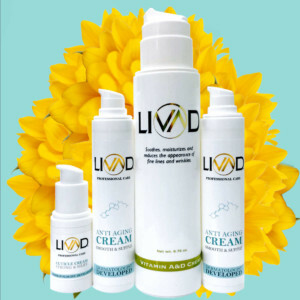 All contents of the Company Web Sites are: Copyright 2015 Livad Skin Care, LLC and/or its suppliers. All rights reserved. All proper names appearing on the Company Web Sites are either trademarks or registered trademarks of the Company. The names of actual companies and products mentioned herein may be the trademarks of their respective owners. The example companies, organizations, products, people and events depicted herein are fictitious. No association with any real company, organization, products, person, or event is intended or should be inferred.